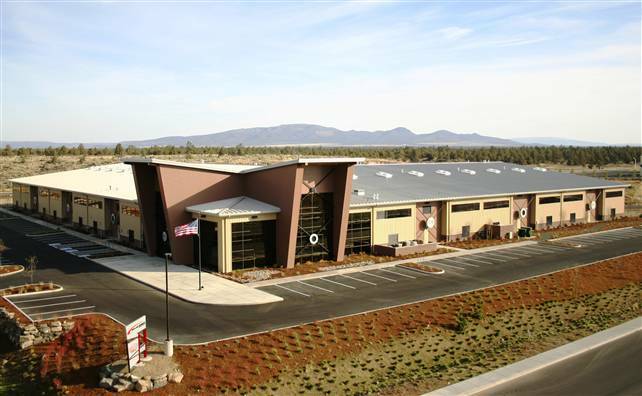 Aircraft Rubber Manufacturing, recipient of the 2008 Behlen Building of the Year Award, is a 90,000 SF new manufacturing and warehouse facility for the production of fuel storage tanks and bladders. The company manufactures fabric, rubber and plastic fuel cells for a wide variety of applications from NASA to NASCAR. There is also an 8,000 SF administration office component adjacent to the manufacturing and storage areas. The building design also implemented many sustainable design strategies to ensure energy efficiency, reduce water and waste consumption. 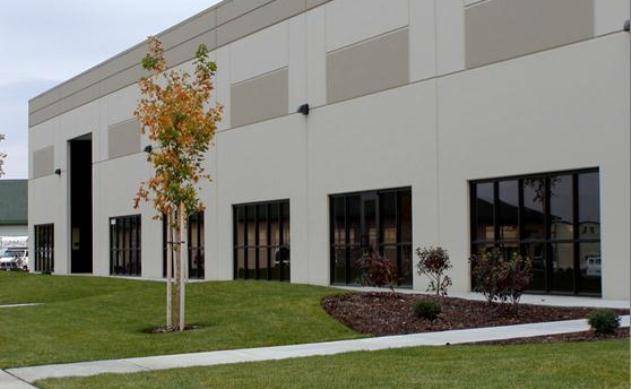 Steele Associates designed this 240,000 SF warehouse and 40,000 SF office on an accelerated design and construction schedule to complete this project on time and within budget. The warehouse is a tilt-up concrete panel structural system. The office is structural CMU with a steel frame. The office building is LEED Certified and the warehouse features high-efficiency light fixtures that save 30% of the energy used for lighting. 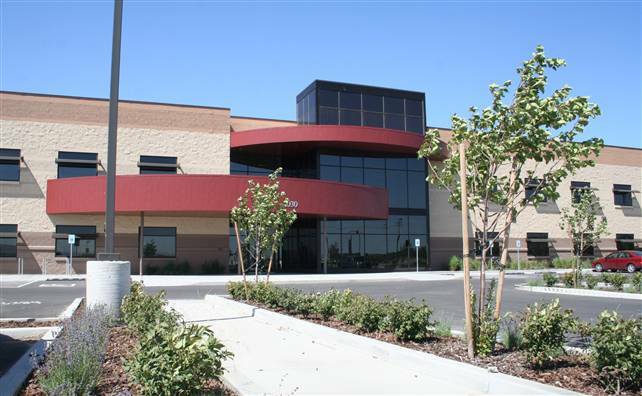 This guitar design and fabrication facility is a 20,000 SF pre-engineered metal structure. Exterior wall articulation provides deep reveals and shadow lines to provide visual interest. The roof is crowned by four dormers with large window areas to help bring natural light into the center of the fabrication and storage areas. The administrative and showroom spaces were designed to provide views into the fabricating areas. The building was sited on the property to allow for future expansion as the company grows. 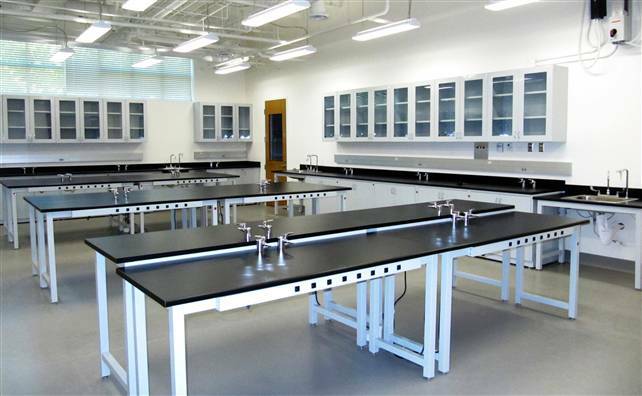 Steele Associates Architects worked with the developer to design this commercially-viable laboratory building with attached high-bay space for Pacific Northwest National Laboratory and Washington State University Tri-Cities tenants. The 17,000 SF building will contain four wet chemistry labs, a 3,200 SF, 35-foot clear high bay designed to accommodate research equipment working with hazardous materials, and office space. The efficient design and cost effective construction allows the developer to offer a highly competitive lease rate. 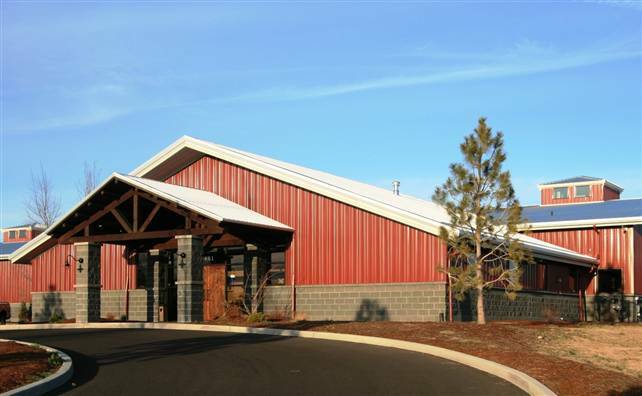 SAA designed this 80,000 SF industrial space with a 3,000 SF office for Bend Tarp & Liner. 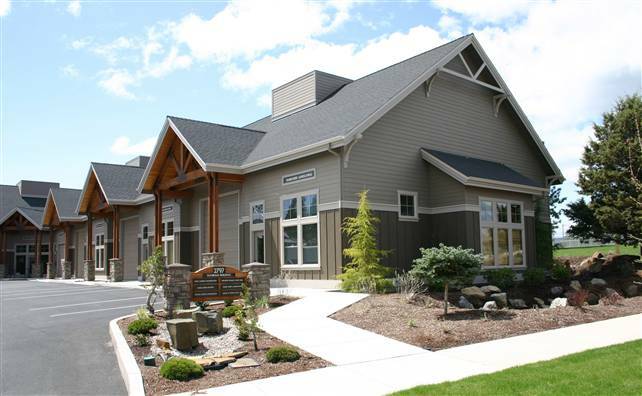 Steele Associates worked closely with the owner and general contractor, SunWest Builders to deliver this project on time and within budget. 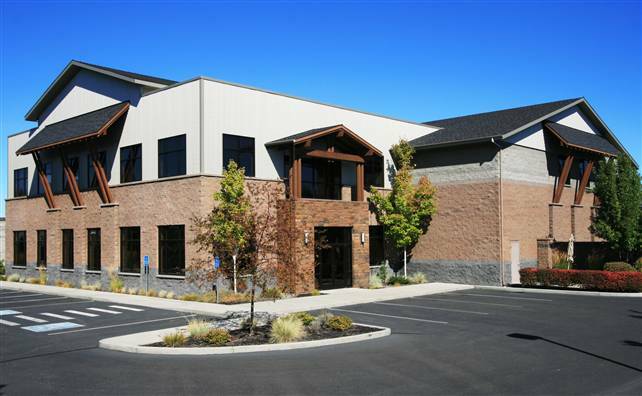 SAA designed this building for SunWest Builders, a local general contractor. The building includes a concrete masonry warehouse of over 7,000 SF as well as a wood framed office space of nearly 6,000 SF. A variety of complimentary exterior materials, from decorative structural concrete masonry units to sheet metal paneling are featured. 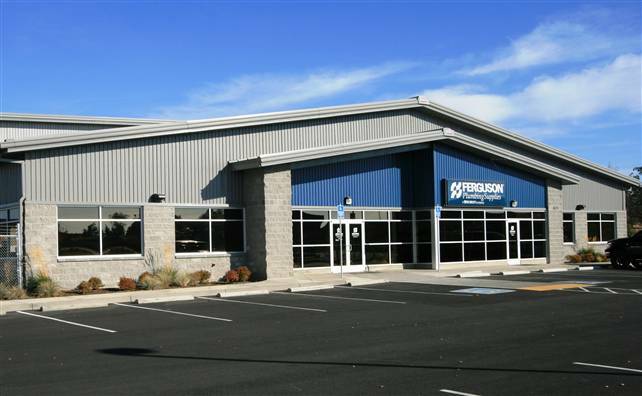 This 25,000 SF industrial building was designed for maximum efficiency and economy. It provides for optimal function of the facility needs. SAA master planned and designed this two-phase 70,000 SF tilt-up concrete industrial flex project. All trucking functions are screened from view by the two buildings in a service courtyard. Despite the utilitarian functionality and flexibility of the buildings; the exteriors have the appearance of corporate office buildings. The buildings and site are designed to accommodate a great range of tenants including office, office/assembly, and heavier industrial uses. 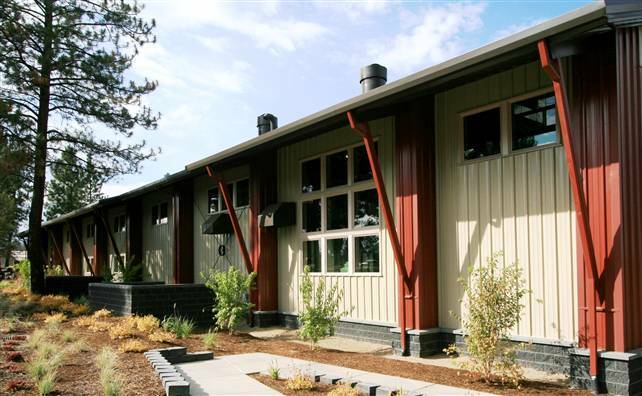 An 11,000 SF craftsman style multi-tenant light industrial building in Northwest Crossing. The project consists of several flex commercial or light industrial suites, each with its own restrooms and overhead sectional door. The design of the project was carefully thought out to fit in the Mixed Employment Zone of Northwest Crossing.